If you live in such beautiful Greater Seattle Area you should visit one of the most celebrated festivals of its kind in the area – Bellevue Festival of the Arts, also merely called – Bellevue Arts Fair. I had a great honor to attend this fantastic event and get myself familiar with the unlimited creativity of PNW artists and discover their incredible and unique pieces of arts and crafts. I thought that I would be able to leave a fair without getting myself at least something – I was very wrong! There were so many beautiful peases to please any sophisticated taste in art. That is what I`ve got! The Pack of Stickers by Jesse Link. Read on and enjoy the collection of pictures from Bellevue Arts Fair and discover some useful information. Bellevue Art Festival is a leading Pacific Northwest’s festival of local arts which is uniquely by artists for artists. This is the 34th year since its launching, and it has been celebrated every July 27-29. The festival is celebrated in Washington state in downtown Bellevue. The Bellevue arts festival curates a show which features artists all the way from the USA, Pacific Northwest and all over the world. Northwest’s Craft Cooperative presents the show itself. Those are the three main fairs which build up the BFoA Weekend each summer. Amazingly enough, the year 2018 as we can see turned to be the festival’s best of all time. The Bellevue festival of arts showcases diverse, beautiful and exciting artworks in various mediums that are presented along tree paths in a rare and welcoming urban setting. People that visit BFoA obtain unique opportunities to get a serene view of the beautiful artworks. Even better, they will have an opportunity to converse and meet those talented artists. 2018’s artists are acclaimed talents from Pacific Northwest and are inclusive of Gunter Reimnitz, Justin Hillgrove, Ashmita Gulati, Jesse Kelly, Margarita Castillo-Bernard, Susie Aoki, Julia Garrels, Michele Raney, Bob Wilfong, Jason Napier, Jean Claude Louis, Sharrey Doré, Katy LaReau, Tim Wistrom, and so many intriguing artists. The talent list is endless when it comes to this year’s festival. As usual, the Bellevue arts festival exceeds every art’s expectation, and as an annual community partner that’s committed, the festivals proceeds to aid in bettering the world. 2018’s community partners and charitable contributions include CERF, L’ Arche Noah Sealth of Seattle, Education at Elevation, Teen Feed and so much more. Back in 2017, Bellevue Festival of the arts unveiled Aubrey’s Corner in honor of a great artist and a dear friend Aubrey Morgan. Aubrey Corner on its own is an activity tent for children that will return this year. This attraction provided a space that’s purely welcoming during Bellevue festival whence young artists make projects as their parents encourage, know more about art programs as well as participate. There is something for everybody. Just like every year, the Bellevue Festival of the arts showcases live music and terrific food in a food court that’s shaded and lovely. Not to worry there are seats for more than a hundred festival goers. Now this year artists’ favorite festival is going to interpolate a Seattle Philharmonic Orchestra Cello Choir as well as Anjuman performance which is an Afro-Cuban/ Indian ensemble. Place: Open Air Art Festival— Bellevue Way & NE 8th St. Opposite Bellevue Square. Time: Friday and Saturday, 10 a.m. – 8 p.m., Sunday, 10 a.m. – 6 p.m. 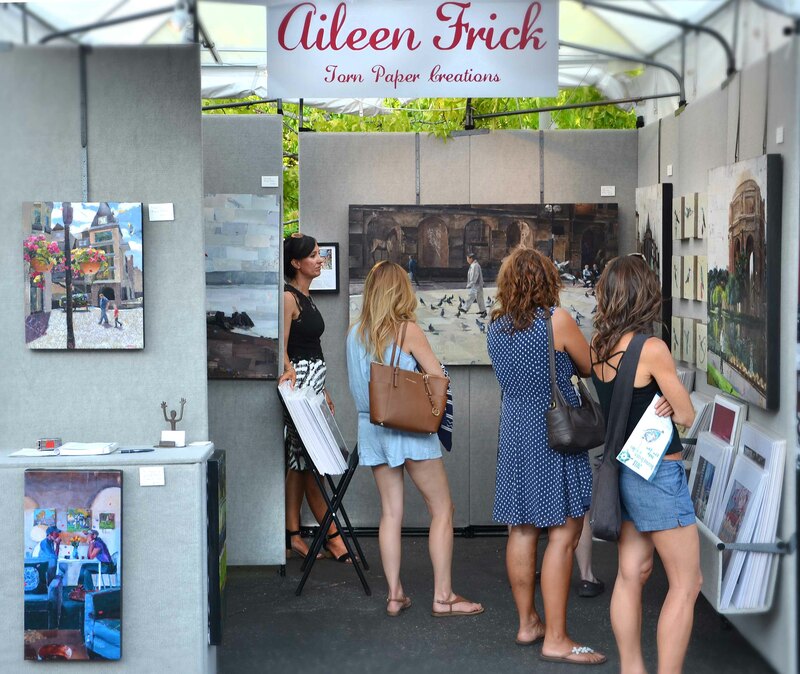 If you have decided that you would like to participate in the 35th Bellevue Arts Fair, It would be great to think in advance. See the information below that will help you to join the fair in 2019. Artist applications are every year overseen by a massive magnitude of gallery owners, artists, curators, Legacy Artists and art educators. 5 to 7 jurors judge each application with the score is attributed to technique, presentation, skill mastery of skill, and originality. Always make sure your art piece is very descriptive. A booth photo/ shot of your application set-up should never miss providing that, otherwise, your application will be rejected. A $1,000,000 liability cover is required for every Participant. The Northwest Cooperative is alternative insurance. July 26th to 29th will be the insurance coverage days. Every year Bellevue Festival embarks on a comprehensive publicity awareness hence exposing the artists to the ever-expanding audience. This aims at giving back to the surrounding community, showing commitment to all the participants. So being part of it is not only for the entertainment but also greater exposé to the outside world. The minimum age allowed to participate is 18 years and above. There will be an open hospitality booth that will be accessible to the artists for social interaction, refreshments, with an opportunity to have a one on one talk with volunteers, fellow artisans, community partners and staff. Dance parties that are spontaneous are encouraged! It will be a moment to build your image and meet people who do what you love doing. There will be volunteers all around who will help artists and the people who will attend maneuver their ways throughout the day. Artists are advised to come with their assistance in case the artist has an extensive setup. This is because the available volunteers are not guaranteed to stay with you throughout your set up. But just in case you are stranded in getting an assistant of your own, you can always contact the management team to hook you up with the right match. You should have it in mind that canceling after registration will earn you only 50% of the money you paid for the booth. But this must be done on time.